Broadly defined, family planning is the act of making a conscious plan about the number and timing of children's births. Timing may include the time of the first birth, the amount of space between births and when to stop having children. It can include abortion, a discussion of the various means of contraception, fertility testing and even treatment. Family planning has been practiced since the beginning of time. Condoms were invented in Egypt in 3000 BCE and women practiced birth control to prevent pregnancy using relatively ineffective and often unsafe methods such as sponges with soap suds and douches made from honey and crocodile dung. 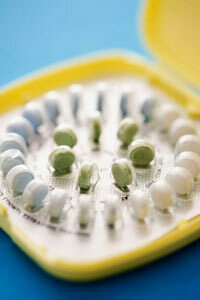 Today, there are many options for birth control: pills, injections, inserted devices, condoms and natural methods. Elizabeth Bagshaw, one of Canada's first female doctors, championed the notion that women should have the right to prevent pregnancy. 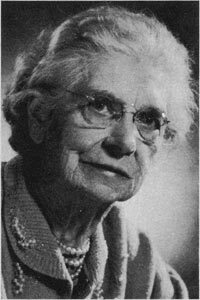 She established Canada's first family planning clinic in Hamilton, Ontario in 1932, although it was illegal to do so and despite intense criticism from the medical and religious communities. Alvin Ratz Kaufman was an industrialist and philanthropist based in Kitchener, Ontario and an early pioneer of the birth control movement in Canada. He founded Parents' Information Bureau in 1935 to distribute birth control information and sent nurses directly to homes to provide families with condoms and contraceptive jelly. One of the field-workers he hired was Dorothea Palmer who was charged in 1936 with disseminating information about contraceptives in a poor area in Ottawa. Mr. Kaufman welcomed the opportunity to test Canada's laws in court and spent a considerable sum mounting a defence. The publicity surrounding the trial resulted in greater public support for the birth control movement. The court acquitted Ms. Palmer on the basis that what she was doing was not for profit, but rather in the interest of the public good. The case was remarkable in that the decision overruled religious and medical objections to the dissemination of birth control information. While contraception was not fully legalized in Canada for another three decades, no other person was ever prosecuted for distributing information about birth control. The Parents' Information Bureau was soon serving 25,000 clients a year. After WWII and the baby boom, public acceptance of birth control increased rapidly. By 1960, the birth control pill was available in Canada, although doctors could only prescribe it for therapeutic and not for birth control reasons. A year later, Harold Fine, a pharmacist, was charged, convicted and fined for selling condoms in his drug store. His conviction spurred Barbara and George Cadbury and a group of church leaders and prominent doctors to set up the first chapter of Planned Parenthood Association. After years of effort, the section of the Criminal Code making it illegal to advertise or sell birth control was finally removed in 1969. Decriminalizing contraception gave all Canadians the right to prevent pregnancy (and to protect themselves against sexually transmitted infections) without engaging in criminalized behaviour. The same legislation also decriminalized some abortions under extremely restricted conditions. Two years later, CPHA members resolved that "more programs in family planning should be established, conducted and supported by departments of health as an integral part of comprehensive health care and that these programs should provide information, counselling, education and services to individuals on request." That same year, Health and Welfare Canada provided grants for birth control information and services across Canada. Dr. Elizabeth Bagshaw, who was the medical director of the first illegal birth control clinic in Canada, was made a Member of the Order of Canada in 1972.